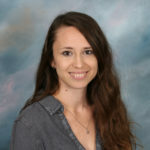 Shannon Pursell joined the Khalsa Montessori team in August 2015. Shannon holds a B.A. 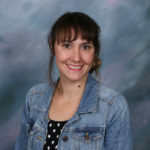 in English from The University of Tulsa, and has completed some post-graduate work in English literature studies at Arizona State University. In 2010 she received her Primary (3-6 yr.olds) level AMS Montessori certification through the South Mountain Montessori Certification Program. Shannon worked in a Montessori classroom for six years before joining the Khalsa staff, serving for 3 years as an assistant teacher and 3 years as the lead teacher. She is excited to assume the role of lead teacher in the Primary North classroom for school year 2018-19! Shannon is an avid reader, movie watcher, and animal lover. Dyanna joined Khalsa in March 2018 as an assistant in the Primary After-School Program. Dyanna started with Khalsa Montessori in the summer of 2018. She began as a substitute, and will now join Ms. Shannon as an assistant in Primary North. Born and raised in Phoenix, AZ, Dyann earned her Bachelor’s degree in Family and Human Development at ASU. She plans to work towards her Master’s in Child Psychology in the near future. In her personal time, Dyanna enjoys at-home yoga practices, going to hip-hop concerts, and spending time with her husband and her dog. Meredith joined Khalsa in 2018. She has many years working as an assistant in the field of early childhood, and is currently finishing up her B.A. in early childhood special education. For the 2018-2019 school year, she will be assisting Ms. Shannon in Primary North. In her spare time, Meredith enjoys cooking, baking, yoga, painting, and nature photography. She lives with her two rescue cats, Jake and Astral. Dawn is returning to Khalsa after a brief hiatus. This will be her first year as the lead teacher in Primary South. 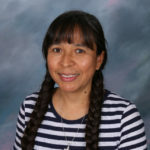 She was the lead teacher in the Transition Kindergarten classroom from 2006-2012. During this time Dawn’s son, who is now 14, spent 4 years in the Primary South classroom. Dawn returned to Khalsa in the fall of 2017 as an assistant teacher in the Upper Elementary classroom. Dawn graduated from Austin Peay University in Clarksville, TN. She has a B.S. in Interdisciplinary Studies, with a concentration in Elementary Education. Dawn has had many adventures over the years including skydiving, Reiki Master training, zip-lining, traveling to the Caribbean, and volunteering in various social justice organizations. She enjoys cooking vegan food, listening to live music, learning Spanish, and meditation. Ninfa joined the Primary South classroom in August 2004. Ninfa is Montessori Primary trained and certified through the Center for Montessori Teacher Education. For thirteen years she has been a Primary South teacher: giving lessons, overseeing areas of the classroom, and leading the classroom when needed. Ninfa is from Honduras and moved to the United States in 1992. She worked as an ophthalmologist assistant for eight years and became interested in Montessori teaching in 2002. She was an assistant teacher at Community Montessori School before coming to Khalsa. Ninfa attended the National Pedagogical University in Honduras and has a bilingual secretary diploma. She has been a Sunday School teacher for 18 years and now is coordinator of the Sunday School program at her church. 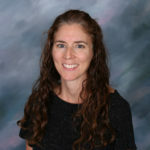 Gretchen was raised in Flagstaff, Arizona and has worked in multiple school settings. In addition, she has been a mentor at Phoenix Youth at Risk. She has volunteered in orphanages in Czech Republic, Ukraine, and Mexico. She has also coached youth soccer with two different organizations. Gretchen completed early childhood development classes at Paradise Valley Community College. She believes in the power of great mentors and teachers, and has dedicated her life to pouring positive messages and experiences into children. 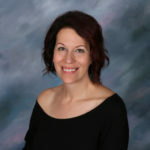 Cynthia Huebscher joined Khalsa Montessori School in April 2016. Cynthia received her American Montessori International Diploma from the Montessori Institute of La Jolla. She trained with Sylvia Dubovoy, an AMI trainer, consultant, and examiner. 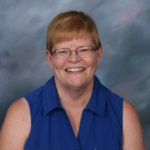 Cynthia has over 20 years’ experience in education as a teacher, trainer, mentor, and tutor to students of all ages. 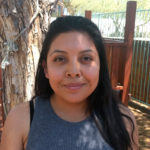 She obtained her California Teaching Credential from National University and her BS in Liberal Studies from California State Polytechnic University, Pomona. Cynthia is truly excited to bring her knowledge and experience to the primary classroom at Khalsa. Cynthia loves to read – when she has the time. She is enjoying exploring with her husband, Walter, now that they live in the beautiful state of Arizona. Amy joined the Khalsa team in August 2016 as a Primary Upstairs Assistant. Amy attended the Montessori Assistant Workshop to further her knowledge of the Montessori philosophy. In the past, she has worked with children ages 5-13 in volunteer programs helping young filmmakers and actors develop their skills. Through this work she has been amazed at the creativity and advancement that they brought to their craft, which is why Khalsa is such a wonderful fit for her. Amy is an alumni of the Torch Theater School of Long Form Improvisation and the Meisner Acting Program. In her spare time, she is a local film and theater actress, producer, writer, director, tap dancer, and fire spinner. 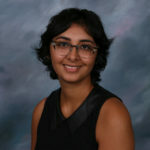 Miss Demitria joined the Khalsa community in 2018. She is very familiar with the Montessori Method. She attended a Montessori school in her youth, and previously taught at a Montessori school. In her free time, she enjoys taking photos all around Arizona. Alexis joined Khalsa halfway into the 2016-17 school year as an after school assistant. She was born and raised in Phoenix, AZ. 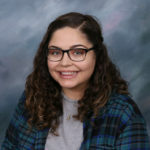 Alexis connected with the Montessori philosophy during her time at another Montessori school and greatly enjoy the perspective and individuality it offers with education. She enjoys reading, playing Dungeons and Dragons, and cosplay. playing Dungeons and Dragons, and cosplay. 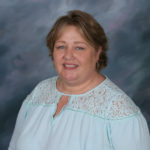 Jill joined Khasla in March of 2018 in the accounting department. For the 2018-2019 school year, she will be the Outdoor Environment director at the Primary campus. 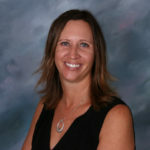 Jill grew up in Arizona, and graduated from Arizona State University with a degree in Fine Arts. She has been a parent of Khalsa children for the past 5 years. She enjoys travel, hiking, reading, and any activity that is with her family. Ms. Jessica joined Khalsa Montessori School in 2014. After graduating from Suffolk University in Boston, MA, with concentrations in English Literature and Psychology, she attended yoga teacher training at Karuna Healing Arts in Northampton, MA. She taught yoga to adults and children, and realized that teaching was her life’s path. 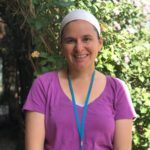 Jessica and her husband moved to Rhode Island, and over the course of seven years, she completed a certification in Early Childhood, as well as received Montessori toddler teacher training at Harborlight Montessori School in Beverly, MA. 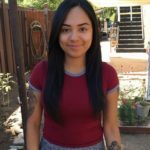 Ms. Jessica enjoys creating a dynamic environment where young children can discover their unique potential, as well as learn how to form a caring community with their peers. When not working with toddlers, Ms. Jess practices yoga, dabbles in creative writing, and explores her new home state. Mandeep joined Khalsa Montessori School in August 2013 as the Primary South Assistant. In 2014, she became one of the Toddler Assistants. She has also been the Primary Campus Spanish teacher. She worked as a Children’s Activity Leader at Summer Camps in Spain, between 2004 and 2010. She received an Associates’ degree in Social Education from the University of Barcelona in 2006. Also, during 2004 through 2012, she worked on several social projects providing educational activities and assistance to persons with disabilities and integration difficulties. She worked as a live-out caregiver and childcare provider in Vancouver, Canada, from 2010 to 2011. Mandeep is also a Kundalini Yoga and Meditation Teacher, trained in Laughter Yoga, Childplay Yoga, and Yogic Numerology. Originally from Spain, she moved to Phoenix to reside with her husband in spring of 2013. Her passions include contributing to the education of our future generations, applying and sharing ancient yogic wisdom, ecology, organic gardening, art crafts and vegetarian cooking. Mandeep believes that every smile we share can improve our inner and outer worlds. Lucy Joined Khalsa in the Spring of 2015 as a substitute teacher, and quickly transitioned to the role of a full-time assistant in the Toddler classroom. Through this time, her experience further cemented her personal resonance with the Montessori philosophy. Last year, she took on the position of Lead Toddler Teacher under the tutelage of Ms. Jessica Sweeney. Ms. Lucy will be the lead teacher for Toddler West in the 2018-19 School Year. She was initially inspired by the effects of the Montessori Method as she witnessed her own two children flourish under Maria Montessori’s approach. 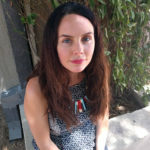 Prior to joining Khalsa, Lucy worked as a full-time nanny for 6 years with children ranging from one month to seven years of age. In her spare time, she enjoys music, art, yoga, vegan cooking, traveling, and sipping coffee while reading a good book. Jordan joined Khalsa in 2018 as an assistant toddler teacher. She is graduating from Arizona State University with a degree in Psychology. She plans to attend graduate school for counseling or social work, and want to work to improve the lives and welfare of young children. She has over five years of childcare experience, and loves helping toddlers develop social and individually. In her free time, Jordan likes watching movies, thrift shopping, and traveling to new cities.